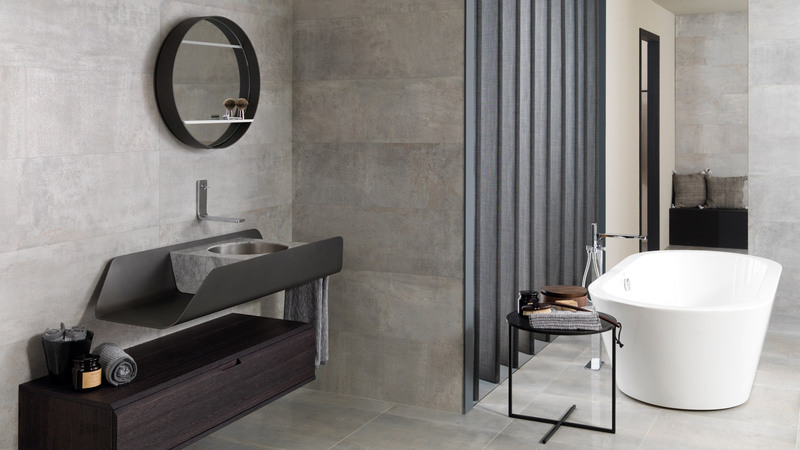 We start our review of the 9th Architecture and Interior Design PORCELANOSA Awards by taking a look at the winning projects in the Completed Projects’ category.At this international contest edition, the award has gone to Jaime Sanahuja, Juan Trilles, Erik Herrera y Javier Poyatos, from Sanahuja & Partners, the remodelling architects of Paseo Vista Alegre in Alcossebre (Castellón), together with its tourist office.This project stands out because of its masterful representation of Mediterranean architecture and how wonderfully it plays with both the colour and the light. 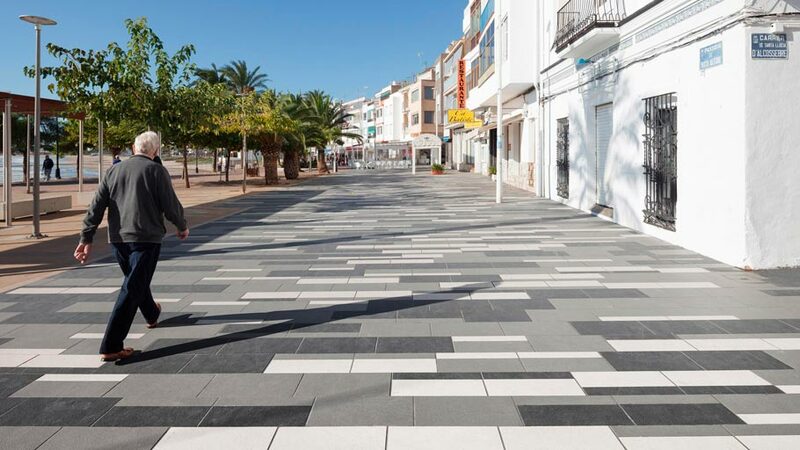 With a noticeable tribute to the indigenous, it manages to combine up to three different ceramic projects, including the technical full body porcelain from the PORCELANOSA Grupo.All quality and resistance on the Paseo Maritimo Vista AlegreDue to the high transit along the Paseo Maritimo Vista Alegre in Alcossebre, its remodelling project had the pedestrianisation of the promenade, and the permanent removal of street traffic.The Sanahuja&Partners studio relied on the firm, Urbatek, to install floor tiles on the seafront promenade, and in order to guarantee both elegance and ultra-resistance, the through-body porcelain tiles in its Avenue texture version were opted for. 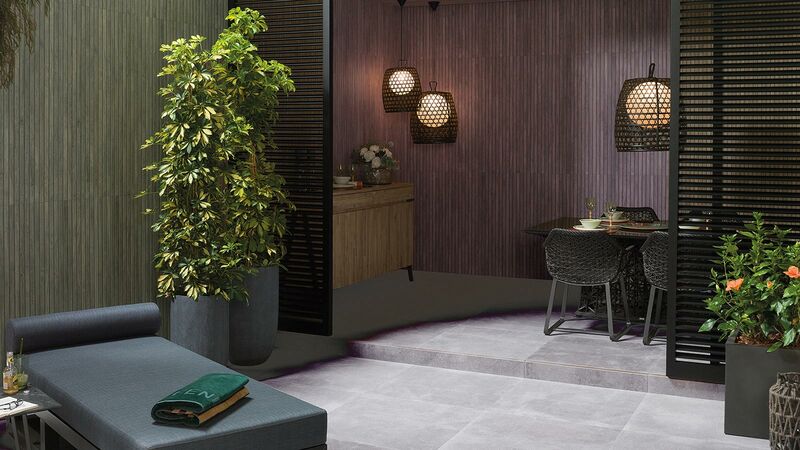 Additionally, it combines several porcelain formats: 30×60, 20×60 and 10×60 and colours as well such as Black, Grey and White. 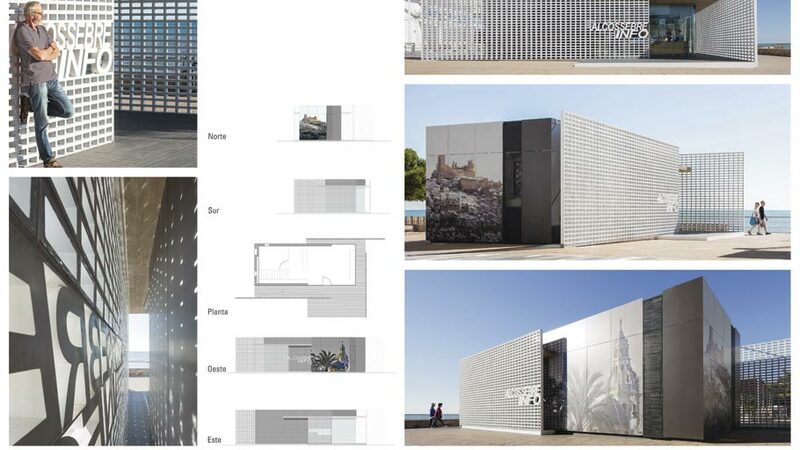 The matching of both its stony look and colour make it a timeless, elegant and technically perfect design, which undoubtedly acts as intersection between the maritime village and the sea.Light dynamism at the Tourist OfficeThe second part of the 9th Porcelanosa Awards winning project includes the remodelling of the tourist office in Alcossebre. 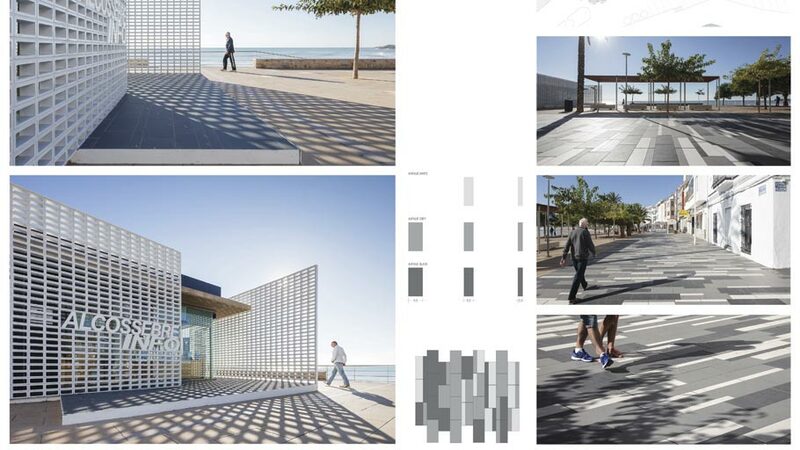 A building that had to connect with the promenade aesthetics, but without forgetting both the freshness and purity of the sea.Inspired by the Mediterranean lattices of the 60s and 70s, Sanahuja & Partners opted for placing a glazed ceramic lattice in white that focuses on the originality of the architectural design. A lattice which also allows itself to go with the symbolism of light, expressed differently depending on the time of day. 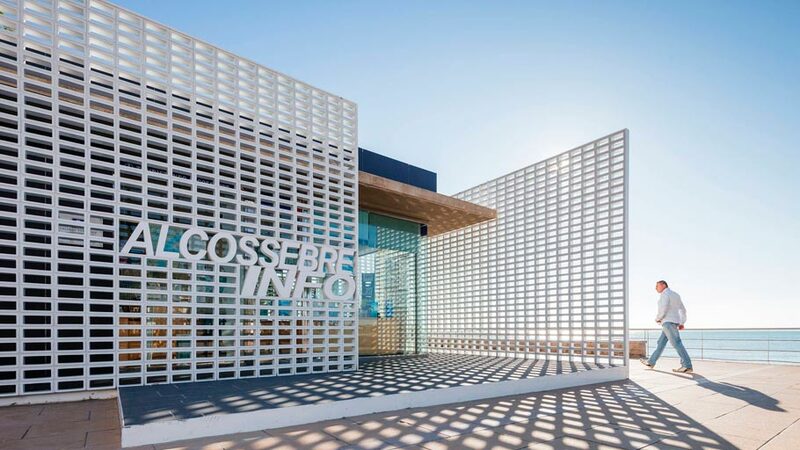 In addition, the lattice boosts the sight and lets the breeze come in, improving both lighting and the thermal comfort.Moreover, this project banks on an additional ceramic piece that acts as a second skin on the facade. 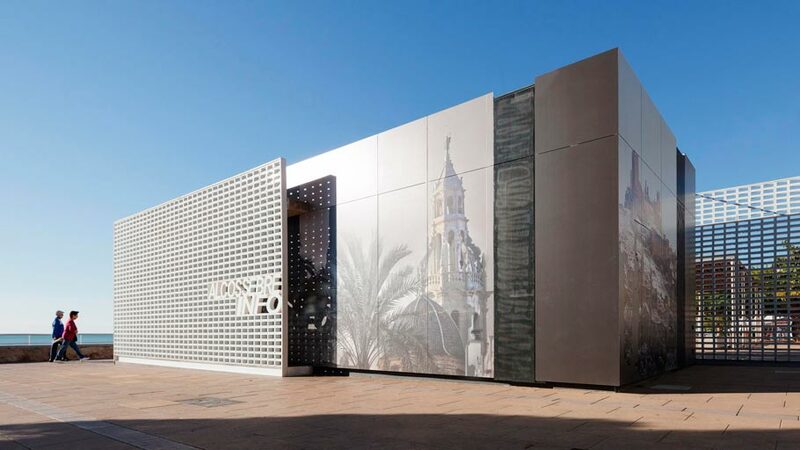 A ventilated façade that not only improves the habitability, but provides a purifying air treatment, removing NOx.The project for the remodelling of the Paseo Vista Alegre in Alcossebre and its Tourist Office is part of a Strategic Plan for Tourism Design in partnership with the University of Valencia. 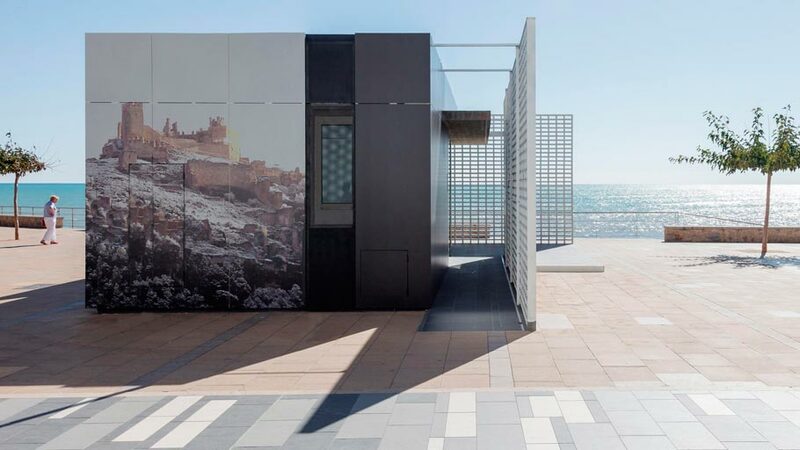 Its goal: to promote tourism in the municipality, as well as focusing on the urban design in front of the sea.